One of the defining characteristics of the American government that makes it unique among the governments of the world is the mixture of federalism and nationalism in its Constitution. During the years between the Declaration of Independence in 1776 and the Philadelphia Convention of 1787 it became evident that the “Articles of Confederation and Perpetual Union” under which the United States had operated for less than six years, was not adequate to meet the Confederation’s needs. The three primary problems with the Articles of Confederation was the difficulty of raising revenue, inability to regulate interstate and international trade, and the absence of any mechanism for enforcing compliance with laws passed by the Continental Congress. The Philadelphia Convention of 1787 was called to address the deficiencies in the original agreement. It was decided by the delegates attending that the best course of action would be to rewrite the document. At the time there were two schools of thought concerning the focus of a new Constitution. The federalists believed the new nation should have a strong central government with subordinate state governments, however, the anti-federalists feared that a dominant central government would lead to eventual tyranny and they were not willing to give up the state sovereignty favored by most citizens. The task for the framers was to devise a government with enough authority to function effectively while protecting the ability of the various states to run their own affairs as sovereign states. The compromise arrived at was a Constitution granting the necessary powers to the central government for carrying out functions of a national nature, such as, national defense, issuing money and certain other functions that could not be adequately performed by the individual states and limiting the federal government to the specific powers delegated to it. The primary powers granted to the federal government are found in Section Eight of the First Article. These powers include the power to levy taxes, borrow money and make laws necessary for carrying out the functions of government delegated to it by the Constitution. They are easily separated into the two categories of “general welfare” and “common defense”. This list represents the sum total of the functions the federal government is constitutionally authorized to do. The Constitutional limits on the powers of Congress is further emphasized in Amendment Ten of the Bill of Rights. Any taxes levied or laws passed for purposes other than those listed are unconstitutional and therefore unlawful. Following is the text of Article One, Section eight with comments on some of the controversial clauses. The introductory clause in Section Eight empowers Congress to impose taxes. The question of what is and is not a legitimate taxing power of government was a major factor leading to the Revolutionary War and eventually to the formation of the Constitutional government under which we now live. Under the Articles of Confederation which served as the Constitution for the central government of the original thirteen states from its ratification in 1781 to the formation of the new government in 1789, there was no way to enforce collection of taxes levied on the various states for support of the central government. 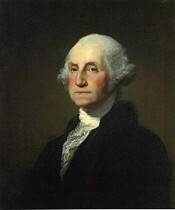 Therefore, the government could not pay its debts and had difficulty financing the Revolutionary war. The inability to raise revenue created great hardships for General Washington’s Army. They often were without proper food, clothing or Arms. This clause establishes the purposes for which the federal government is empowered to lay and collect taxes; “To pay the debts” incurred by government, “provide for the common defense and general welfare.” The phrases “provide for the common defense and general welfare” are not separate powers, they are simply broad descriptions of the limited purposes for which the federal government is authorized to levy taxes. The remainder of Section Eight enumerates the specific powers that fall into these two broad categories. Any taxes imposed by the government that are not necessary for carrying out these specific powers, other than those necessary for the administrative needs of government, are unconstitutional, unlawful and constitute a form of tyranny. This clause falls under the heading of general welfare, although the primary reason for borrowing money at the time, was to pay for the cost of defense. Although not specified in the Constitution, the Founders subscribed to the philosophy that debts should be paid by those incurring them. 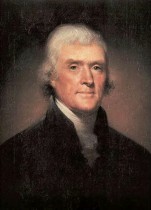 Thomas Jefferson believed it was immoral to take on public debt that could not be repaid during the lifetime of the generation in which it was incurred. According to his formula, a generation consisted of a period of nineteen years. The current policy of assuming debts that will fall on future generations would be roundly condemned by all the Founding Fathers. The “Commerce Clause” is, by far, the one most frequently used by Congress and the courts to extend the tentacles of the federal government illegally into virtually every element of the U.S. economy. The original purpose of the clause was to insure free trade between the states. Prior to the Constitution, many states practiced a kind of “protectionism”, placing tariffs on goods imported from other states and otherwise hindering the free flow of commerce between states. For the first hundred years, from 1787 to 1887 the interstate commerce clause was understood to apply only to the buying and selling of goods between individuals and businesses in one state and those in another. It was not until passage of the Interstate Commerce Act of 1887 and the Sherman Antitrust Act of 1890 that Congress began to involve itself in the intrastate commerce of the various states. According to the structure of the Commerce Clause, Congress has no more authority to dictate economic policy within the boundaries of a state than it does the domestic economic policy of foreign nations. “Commerce“, as used in the Constitution and by contemporary writers of the time, had reference only to “trade” or “exchange of goods” and certainly did not apply to the design of products, the processes of manufacturing or the providing of services, as it is often used today. Prior to the election of 1936, the Supreme Court routinely declared New Deal legislation based on the “Commerce Clause,” and passed during Roosevelt’s first term in office, unconstitutional. In 1937, by threatening to “pack” the court with more “progressive thinking” Justices, Roosevelt succeeded in intimidating the court to look more favorably on his progressive legislation. Since that time the federal government has expanded its power to the point where it is today. Early immigration and naturalization laws were based on the belief that “the right of expatriation is a natural and inherent right of all people, indispensable to the enjoyment of the rights of life, liberty, and the pursuit of happiness.” In 1924 legislation was passed imposing quotas on immigration from various countries in an effort to preserve the cultural makeup of America. Quotas generally favored immigrants from European countries. The law was repealed in 1965. The general problems with current naturalization and immigration laws have to do with the liberals abandonment of the goal of assimilation and the massive number of immigrants entering the country illegally, overwhelming our social infrastructure. Attempts to encourage assimilation have been replaced in favor of multi-culturalism, bi-lingual education and multi-lingualism in official government documents and communications, leading to the “balkanization” of the American culture. This clause does not place Congress in the construction business, building roads and post offices. Early post offices in sparsely populated areas were often located in privately owned businesses, usually the general store or local tavern. Establishing post roads usually meant nothing more that the designation of existing roads as “post roads”. Such a designation gave the postal service the right-of-way in the use of those roads for transporting mail. Authorization to purchase or build post office buildings is found in the “other needful buildings” clause in number seventeen. This clause, also in the general welfare category, limits federal government involvement in science and the arts to the issuing of copyrights and patents. The use of tax money for projects like NPR and the National Endowment for the Arts, are not constitutional expenditures. The same is true for R & D spending in non-defense related projects. The granting of Letters of Marque and Reprisal refers to the custom, short of a declaration of war, of authorizing an agent of the issuing government to search, seize, or destroy assets or personnel of a foreign nation in retaliation for a violation of the “laws of nations”. The use of Letters of Marque was ended by the Treaty of Paris in 1856, Reprisals against battlefield casualties, shipwreck survivors, prisoners of war and civilians, as well as certain buildings and property is now forbidden by the Geneva Conventions. Clause eleven also grants to Congress the power to make rules governing the capture and treatment of prisoners of war. Clauses ten through sixteen all fall under the general category of “providing for the common defense” in Clause One. For the most part, they have not been a source of controversy, except for clause eleven giving Congress the power to declare war. There, the primary source of controversy is that there is no “mystical script” given by which Congress is expected to wield the power. Clause seventeen establishes a separate district (now District of Columbia) to serve as the seat of government and gives the exclusive legislative powers over it to Congress. By not establishing the seat of government within the territory of an existing state or providing it with an independent legislature the Founders recognize the advantages inhabitants and officials of the National Capital would have over those of the states. The act of granting voting membership to the District of Columbia in either the House of Representatives or the Senate would clearly be a violation of the intent of this clause. Another important limitation imposed by this clause is on the purchase of land within the sovereign territory of individual states. Under this clause the federal government is empowered only to purchase land that is necessary for the erection of “needful buildings” necessary for conducting the activities authorized in the enumerated powers. All purchases require the approval of the legislature of the state involved. The designation of private or state lands as National Parks, nature preserves, wet lands, and wilderness areas do not fall into this category, therefore are not among the powers granted by the Constitution. When the federal government claims for itself sovereignty over any land or natural resource within the territory of an existing state, that claim is unconstitutional. This clause is commonly referred to as the “elastic clause” or the “necessary and proper clause”. It is used by opponents of the Constitution to expand the reach of the federal government into areas never intended by the Founders. Those who do so ignore the construction of the clause which clearly limit the laws authorized to those powers already enumerated in clauses one through seventeen (foregoing powers). The phrase, “all other powers” refers to certain others, mostly administrative, found in other parts of the Constitution such as, the ratification of treaties, self-management of the membership and procedures of the two houses of the Legislature, confirmation of Executive appointments, the power of impeachment, etc. None of these miscellaneous powers affect the daily lives of citizens. What is conspicuously missing from this list of Congressional powers are references to education, energy, natural resources, health care, and the multitude of other subjects over which the federal government has assumed control within the past century. This is great information. Unfortunately, there is no documentation to verify the information here. You should list your sources at least for people like me to do their own research. Thanks Eric, The documentation is to be found in the Constitution and the Declaration of Independence. Otherwise, about all you need is a good dictionary, a knowledge of the English language, and a little common sense. You can find a copy of all the founding documents at my website, Illinois Conservative.com. plus a wealth of reference material from the Federalist Papers, Jefferson’s papers, etc. It does take a little effort to lean about our heritage. I find your comments a little condescending. You give plenty of information that is not in the US Constitution or the Declaration of Independence. None of this information is documented. It would only take a little effort on your part to substantiate your blog by documenting where you got your information. This was not an attempt to pick a fight. I am a PhD in Biblical studies and understand that notes and bibliography help the next person not only substantiate your findings but also allows them to build upon them. I was interested in where you got some of your history which is not in the US Constitution or the Declaration of Independence. I have a copy of the Federalist papers and if you quote them you should say where the quote comes from. Maybe because it is a blog you don’t feel the need to do that. I hope you document your sources in your book otherwise it’s just a blog on paper. Sorry Eric, I did not mean to sound condescending. Neither do I mean to be when I point out that the average reader on a blog post spends an average of 33 seconds on the site. Links to reference materials are followed by less than one tenth of one percent of visitors. Any historical fact referred to can be highlighted, copied and pasted into a search engine and you will immediately get hundreds of sources verifying the factuality of the information provided. I have a 97,000 word book on the history of religion, government, politics, and socialism in America. The book is scheduled for Kindle publication in August and national distribution in October. Meanwhile you can purchase an advance copy on my website or read it on-line at Illinois Conservative.com. With a PhD you must realize that no two “experts” interpret the same “facts” in the same way. Since followers of Frederick Taylor introduced the concept of government by experts during the progressive era our fortunes as a country have gone down hill. If there is any particular historical fact you are doubtful about e-mail me jerrymcdaniel@illinoisconservative.com and I will try to provide you with documentation. It is not that I doubt your information, actually I greed with you. But I need original sources to be credible when I speak. I get it. People don’t read blogs for footnotes. Eric, I am sorry I could not be more helpful. I generally do not write for academicians but for a popular audience. I studied theology for six years at Moody Bible Institute in Chicago and East Main Baptist Seminary in Glenview, Illinois. Most of the books I read on theology were theologians quoting each other without an original thought between them but loaded down with footnotes. Let me explain it another way. Most law school graduates do not understand the Constitution as well as liberal arts graduates who have independently studied American History and America’s founding documents. Law school students who seek to become “Constitutional Scholars” spend their time studying case law rather than the writings of Madison, Jefferson, Hamilton, Adams, and the anti-federalist writers. I try to form my own opinions about history and politics and encourage others to do the same. After almost eighty years of pondering the vagaries of life I have come to the conclusion that there are no “experts” on any subject, just people with opinions.